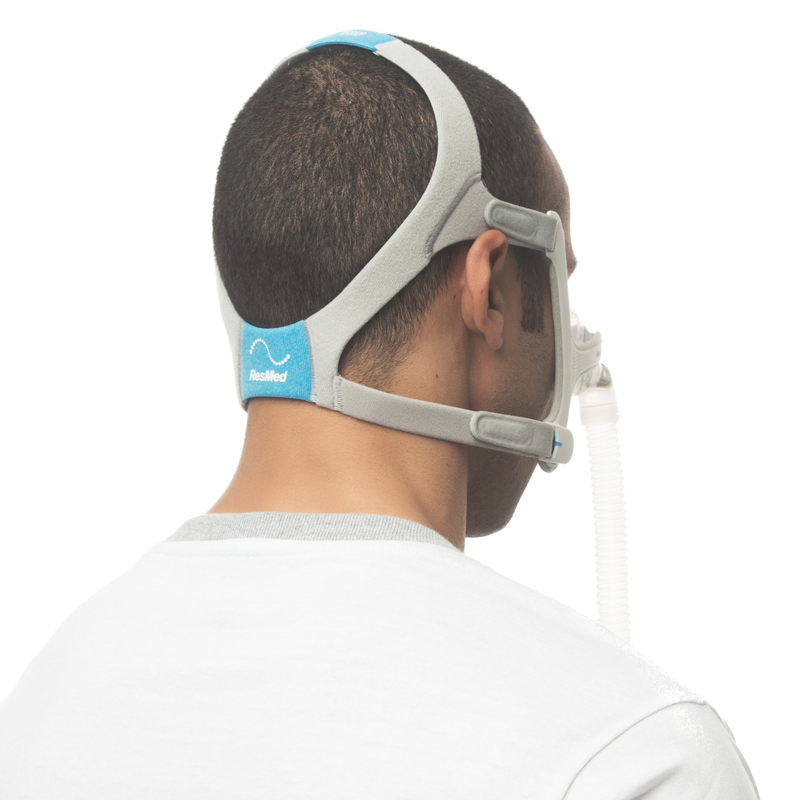 The AirFit™ N20 Nasal Mask provides various points of adjustment and adaptability with the InifinitySeal™ cushion to help ensure a proper fit is obtained and kept throughout therapy. 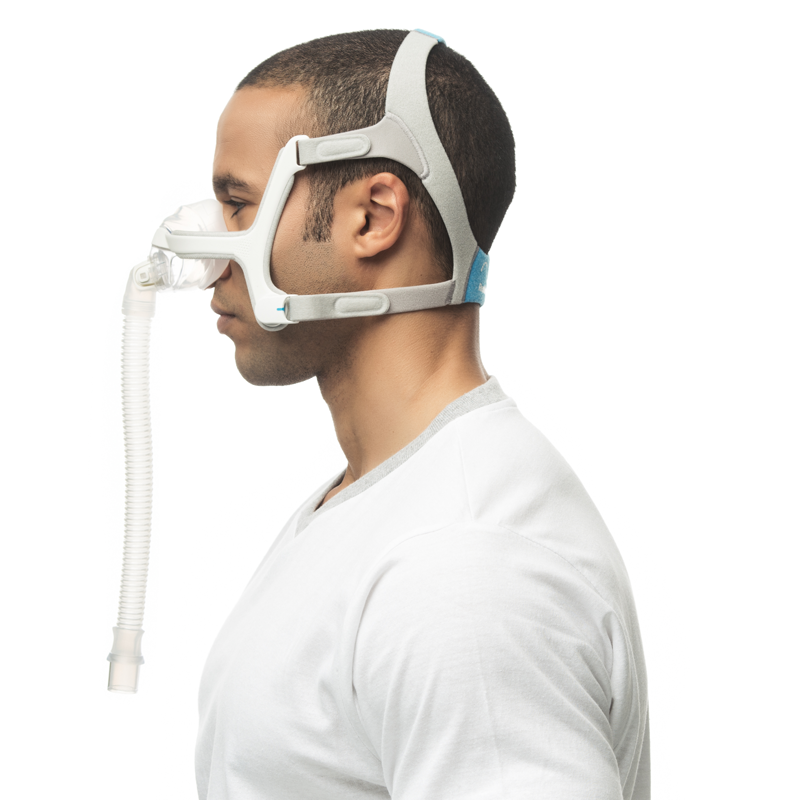 This is a nasal CPAP mask that provides therapy by covering both nostrils. The AirFit™ N20 cushion is an adaptive InfinitySeal™ cushion designed to fit and provide a reliable seal to various facial and nasal structures. The cushion has varying levels of thickness to provide a comfortable contact point on the nose, while also allowing a more reliable seal. 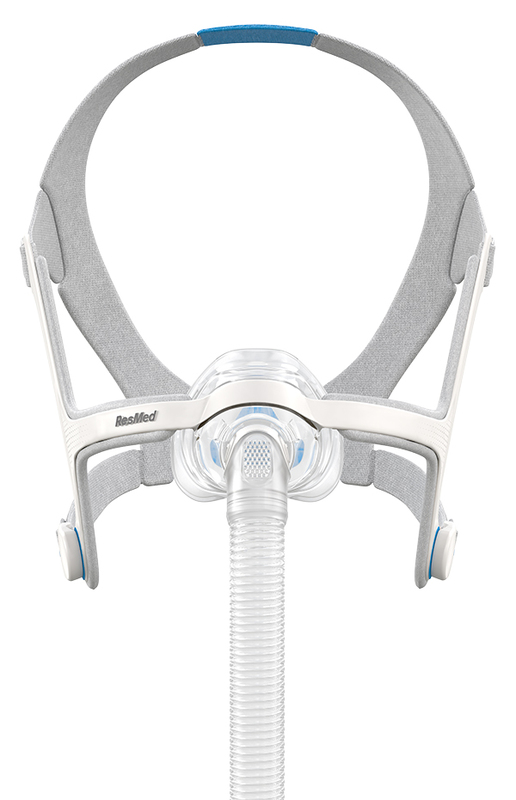 The frame of the AirFit™ N20 Nasal CPAP Mask is flexible and soft to the touch. The frame has integrated padding to help avoid irritation, and rests below the eyes to keep line of sight open. The frame is flexible, allowing it to adapt to the user for initial fit and as positions change during the night. The AirFit™ N20 headgear is composed of soft fabric that helps provide added comfort while helping avoid pressure and marks. The headgear has four points of adjustment, allowing for a fine tuned fit and also provides a quick way to address leaks or other fit issues that may occur during the night. The mask includes a standard size headgear. If the mask needs to be removed quickly during the night, or taken off in the morning, it’s easy to do so using the magnetic clips and quick release elbow. The magnetic clips attach to the headgear and lock onto the mask frame, allowing headgear adjustments to remain in place if the mask is taken off. 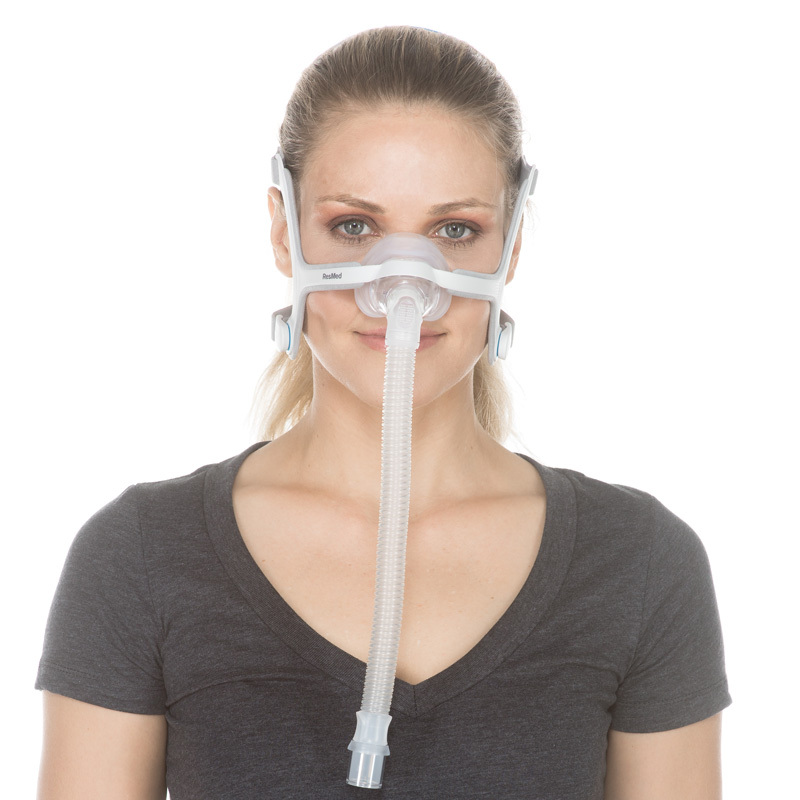 The quick release elbow allows for disconnection of the mask from the CPAP hose for restroom breaks or other needs during the night. Order consists of all needed components. Rx Required. ResMed products can only be sold to end users residing in the U.S. and not to other 3rd parties or businesses. All products purchased come with a manufacturer’s standard warranty. ©ResMed 2018 Used with Permission.